Edward Sweeney is Professor of Logistics and Systems, and Director of the Aston Logistics & Systems Institute at Aston University. In this capacity he leads a multidisciplinary group of academics with interests in logistics, transport, supply chain and engineering management. His research interests are in supply chain design and integration, with a particular emphasis on the divergence between theory and practice. 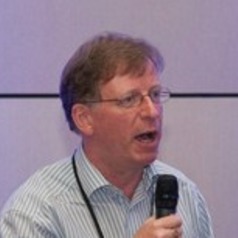 Edward was previously Director at the National Institute for Transport and Logistics (NITL), based at the Dublin Institute of Technology (DIT). At NITL, he was responsible for the award winning SCM development programmes. He also carried out research into various SCM themes, as well as advising NITL partner companies and organisations. Edward has held full-time academic posts at the University of Warwick (UK) and the University of Technology, Malaysia (UTM), as well as visiting positions in several universities and institutes. He has worked and lectured in over 50 countries in Europe, North America and Asia, and is currently a Visiting Professor at the University of Kuala Lumpur (UniKL). He is an experienced researcher with over 200 publications including books and book chapters, papers in international peer-reviewed academic journals, practitioner journal articles and conference papers. Edward has also worked with many of the world's leading companies in his role as an educator and facilitator.